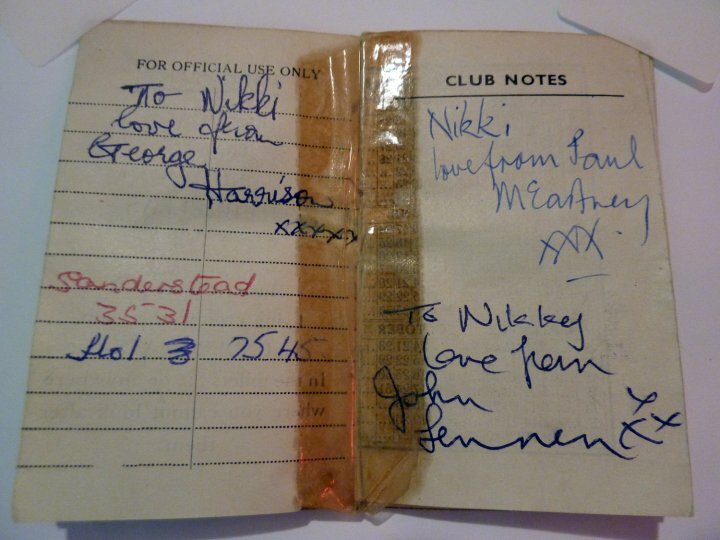 This lovely item as just been taken in for sale in the auction. 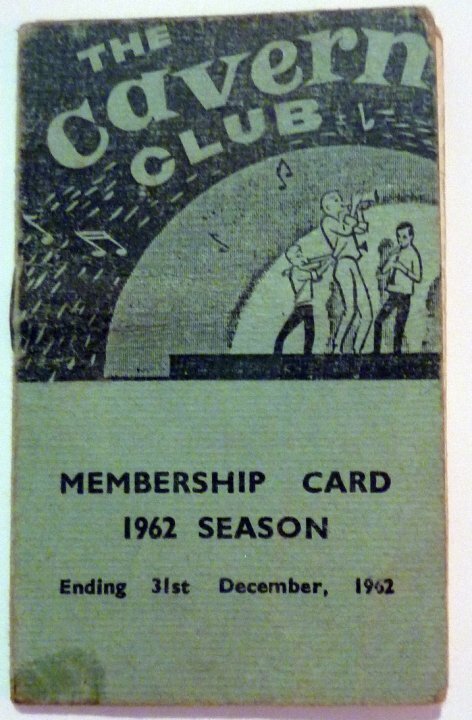 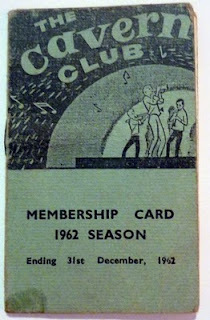 It is 1962 Cavern club card. 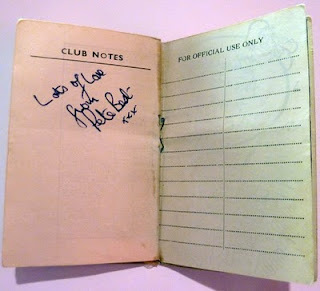 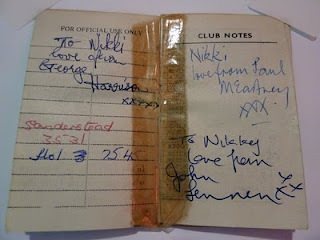 But inside it is rather nicely signed by all the Beatles, including original drummer Pete Best.